There is an interesting new working paper by two Harvard Business School researchers: Toxic workers (Housman & Miner, 2015). They analyzed a large data set containing a range of information about more than 50,000 workers from 11 firms. Their analyses were aimed at gaining insight into which personal and situational circumstances lead to toxic behavior and into which effects toxic behaviors have. In the working paper they present some interesting findings and they make some recommendations for management and HR-policy. Below, I will briefly summarize the findings and add some personal remarks. By toxic behavior the authors mean behavior which is harmful to the organization. As examples they offer stealing, disrespectful behavior, bullying, falsifying documents, and sexual intimidation. They identified three factors which predict toxic work behavior: (1) overconfidence in own abilities, (2) self-regard (vs other-regard), and (3) claiming rules should be followed. Also, the authors write that identifying and confronting toxic workers is complicated by the fact that these workers are generally workers with a high quantitative output. This fact may explain why workers exhibiting harmful behaviors can sometimes keep doing this for long periods of time. A next finding is that avoiding, removing, or transforming toxic workers is an effective strategy. Removing toxic workers, even when they have a high quantitative output, according the authors, generally leads to more productive organizations. Also, they emphasize that toxic behaviors are not only caused by personal factors (such as personality traits) but also by situational factors (such as financial incentives). My remarks: I want to start with a critical and a relativistic remark. My critical remark is that I do not like the term toxic worker. We are talking about people behaving harmfully. Why not just call it that? The term toxic worker has a dehumanizing effect. Harmful work behavior seems to me to be a perfectly suitable term for what this paper is about. A relativistic remark which I want to make is that the analyses which have been done are correlational analyses (regression analyses). There is nothing wrong with this but we must keep in mind that the value of correlational techniques are limited, not matter how large the data set is, and no matter how statistically sophisticated the analyses have been carried out. Correlational analyses can at best give reason to suspect causality but can never demonstrated it. In addition to these remarks I want to say that the study raises many interesting questions and views and is timely. Its message has an intuitive appeal. Individuals which behave harmfully and unethically can create great damage to individuals, organizations, and even societies. 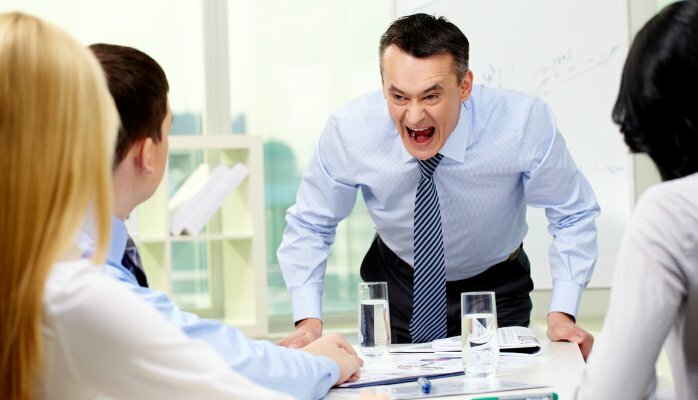 Many well-intending workers (I think the majority of workers can be described as such) suffer from the behavior of some individuals behaving badly who can continue undisturbed. How enormous the consequences may be from such an unethical minority becomes clear from the the gigantic harm a small group of Volkswagen employees have created in the cheat software scandal. The importance of preventing and correcting unethical and other harmful work behavior is great. Often, I have noticed that managers are reluctant to correct harmful behavior. There may be several reasons for this. An important reason may be that often these workers more than satisfy the quantitative demands of their jobs. Due to this fact, managers may feel they have no objective basis to correct these workers. A second reason is that managers often feel incompetent in correcting workers, in general. They often do not know how to do this and fear that when they try to do this anyway they will be ineffective. They'd rather not risk creating a conflict.